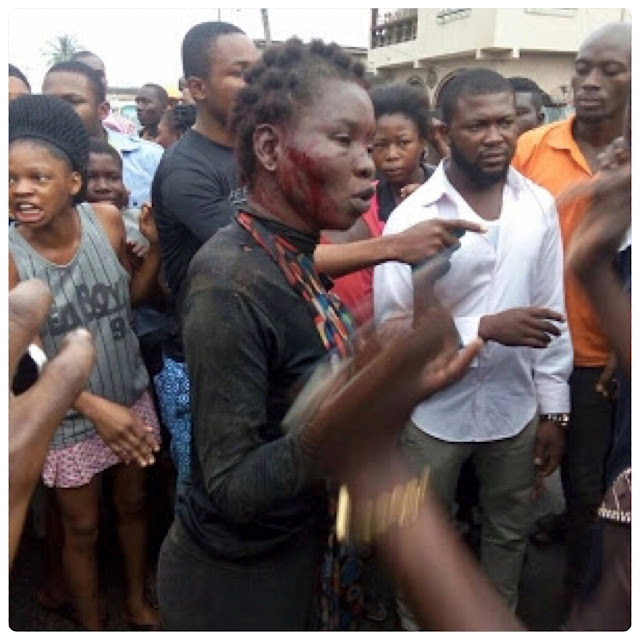 Home / Unlabelled / Female Kidnapper Disguised Like A Mad Woman Napped In Lagos. Female Kidnapper Disguised Like A Mad Woman Napped In Lagos. happened between 7am and 8am this morning. became 'sane' and fear of lynching made her start divulging information. that came as a group of the syndicate from Benin Republic. diabolic means, it could not be ascertained. produce the first child before she was whisked away by the police. their movements during and after school.